I blame George W. Bush because it's the fashionable thing to do. and I am sure humans are to blame for it...whatever. 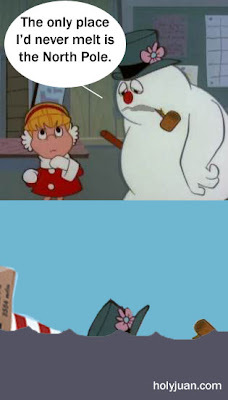 If Frosty can't cut it, he deserves to join the rest of the 99% if living things that have not made it.